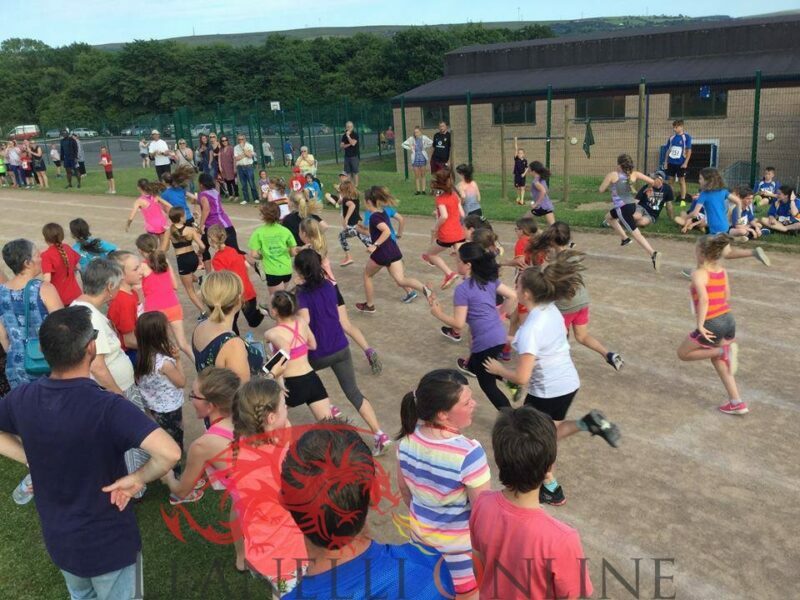 THE ever popular re-arranged Ammanford Junior Fun Run Races returned last week (Wednesday 5th July) at the Amman Valley Leisure Centre athletics track. Postponed at the end of June due to the wet weather, the second date a week later turned out to be one of the hottest days of the year so far – and this attracted hundreds of people to the annual sporting event which keeps going from strength to strength. 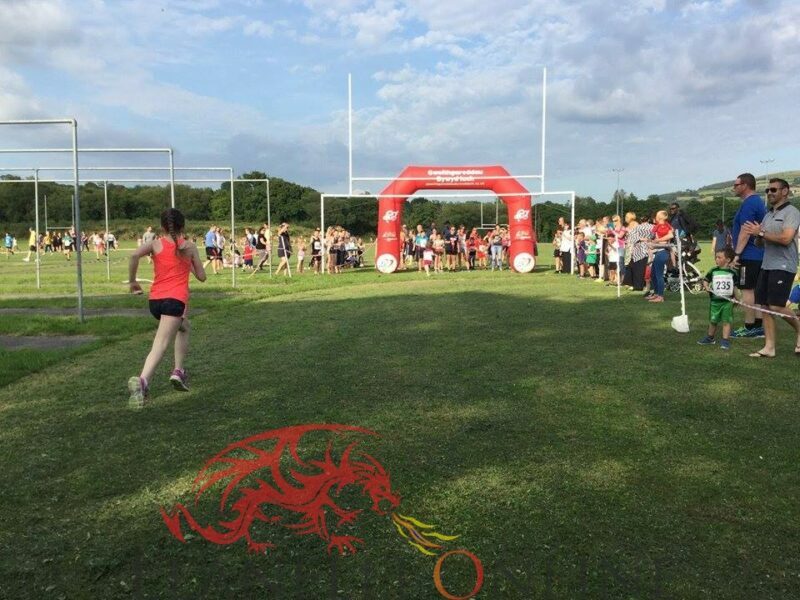 With a total of 5 age groups and 8 different races, there was something for the whole family to enjoy in the Amman Valley. 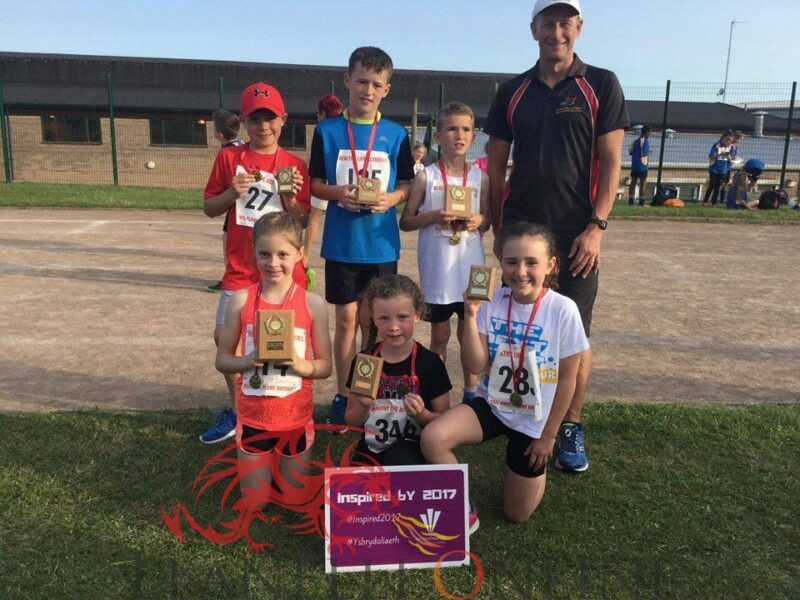 The 2017 edition was again organised by the local running club led by Cathrin Owen and Rachel Alcock along with club runners from Amman Valley Harriers. 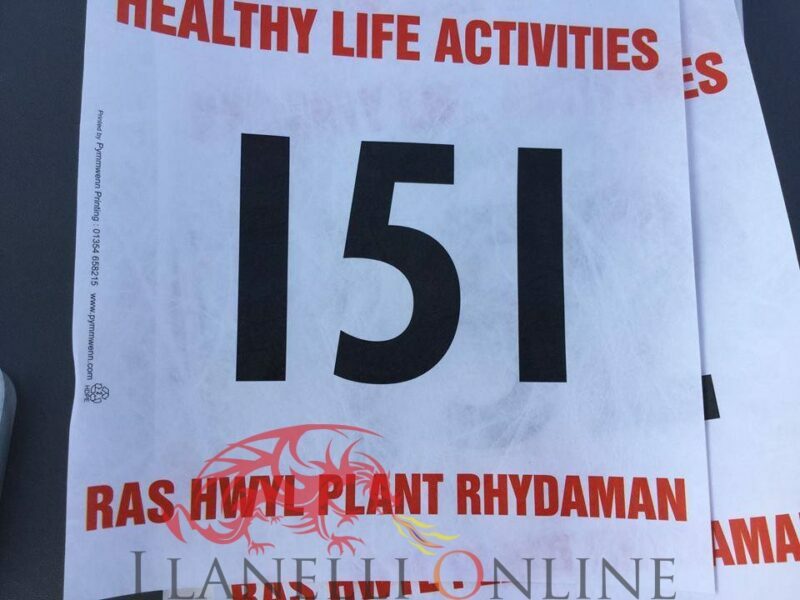 It was kindly sponsored by Healthy Life Activities, who provided the finisher’s medals and trophies to all the athletes along with race commentary. 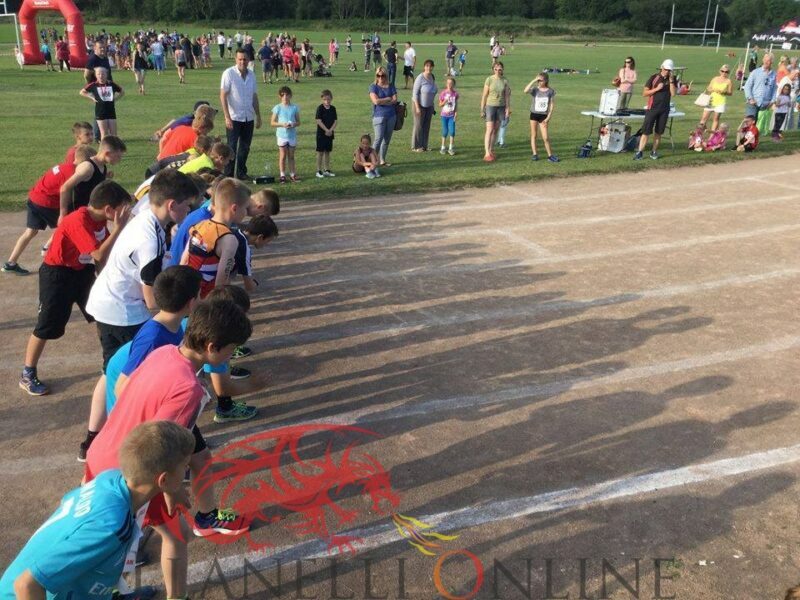 Under new organization, the event for the second year in succession altered slightly to previous years, with a separate race for the reception where parents and friends were able to run alongside the little ones. 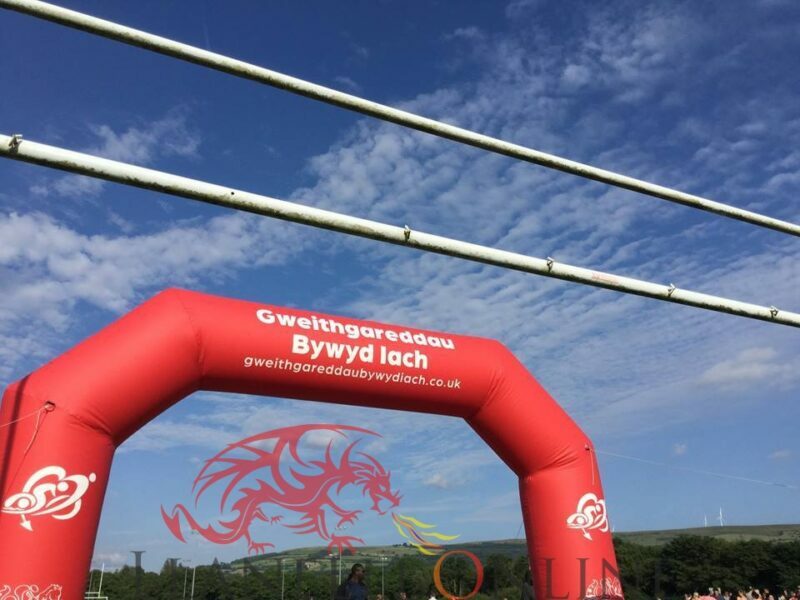 The first race was 1 lap with the remaining four categories over a distance of 2 laps of the track (800m) with the finish under the inflatable arch in the middle of the field. 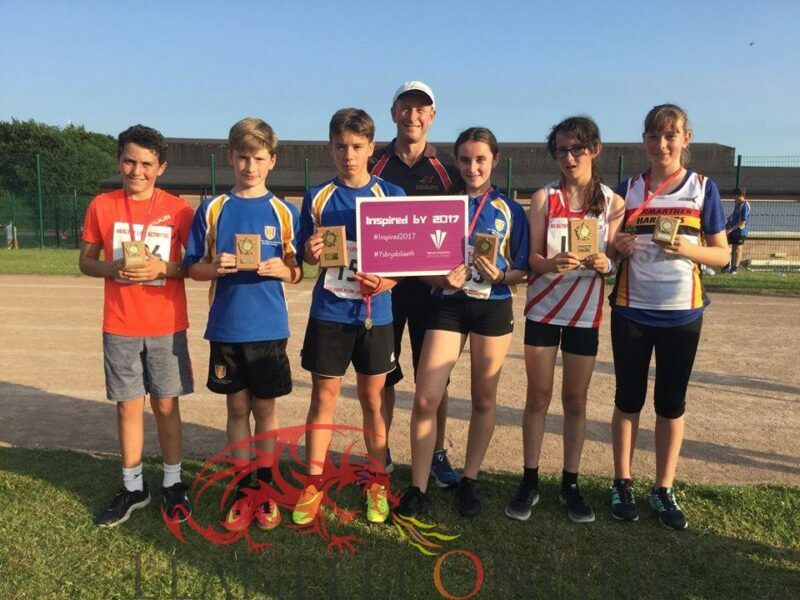 The event was promoted afar and saw a good response as organisers welcomed a number of visitors from destinations such as Swansea and Ceredigion, including a large team of athletes from Morriston Comprehensive school. The conditions were perfect for the runners second time round with the sun shining strongly throughout the evening as darkness fell. 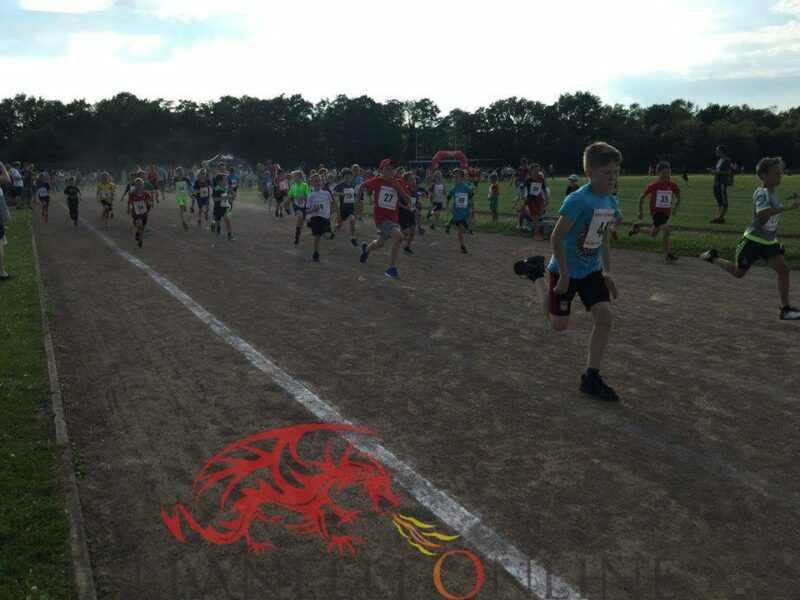 The crowds turned up to support the local event in Carmarthenshire which has become one of the most well attended events for primary schools children. 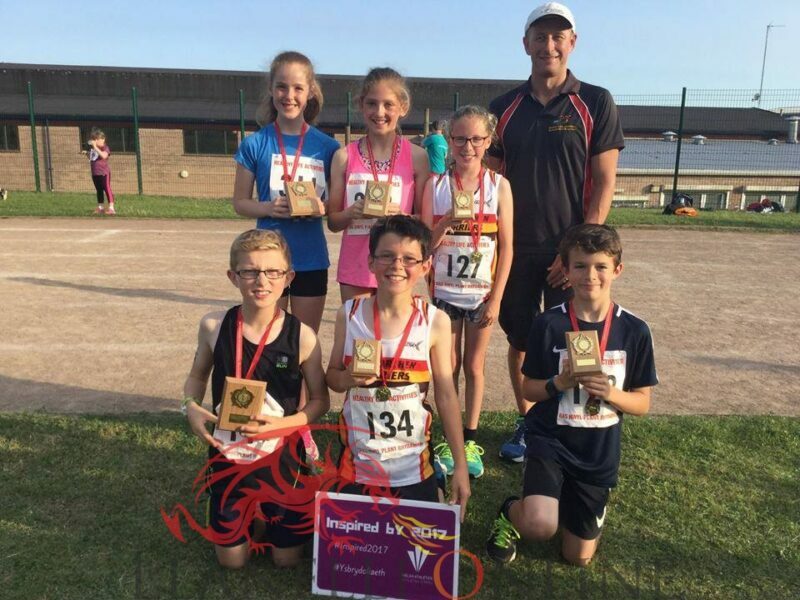 The interest shown with schools and others this year was clear to see in the entries received, with a record number of almost 350 children turning up to enjoy the occasion and the race day atmosphere, nearly up to 100 more than 12 months ago. 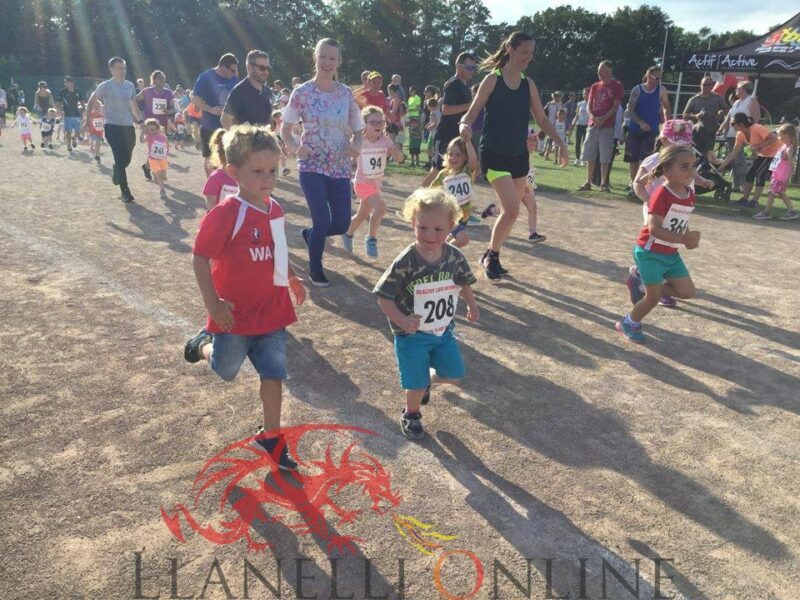 They were all cheered on by the few hundred spectators and parents who lined the side of the track, looking on at all the smiling faces as they completed their run. 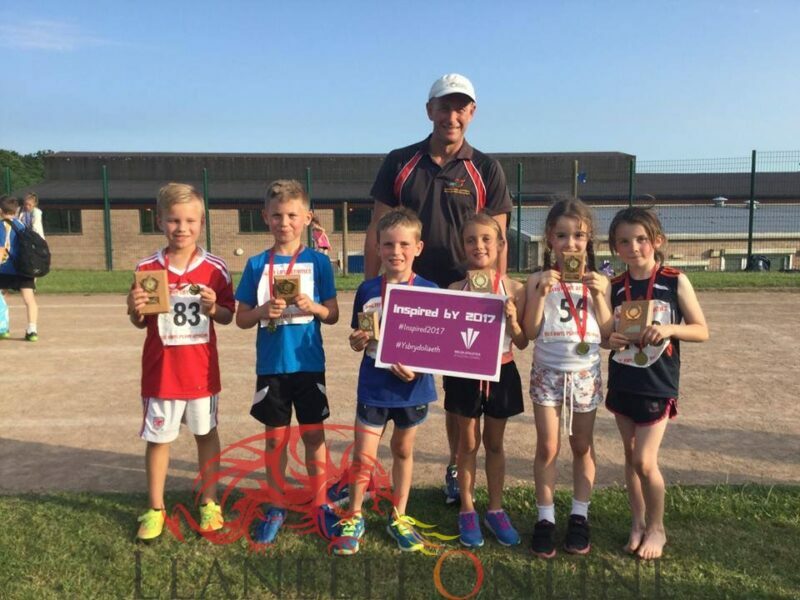 All children who finished on the night received a medal and in addition those who finished in the top three of Year 1-8 were also presented with a trophy. A good crowd stayed on to cheer the athletes who had made it onto the podium. 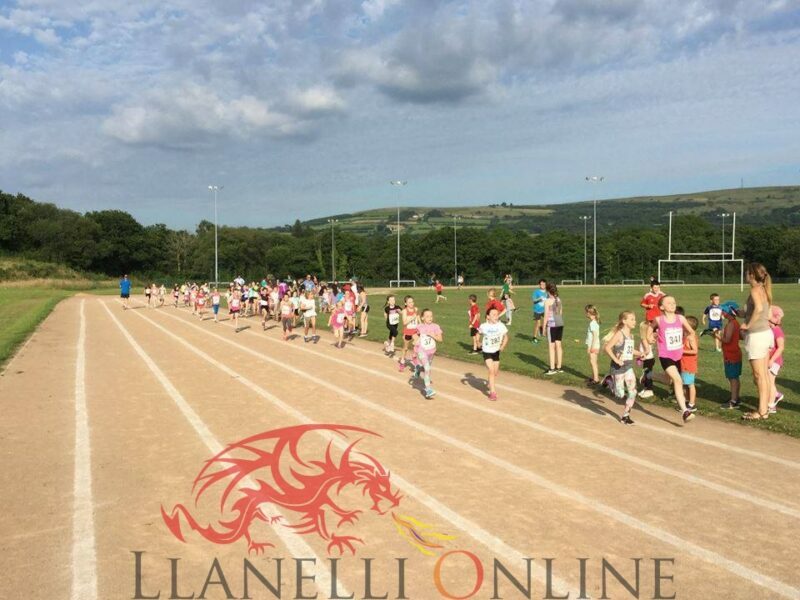 As usual, volunteers played a huge part in supporting the fun run and organisers would like to thank all those who helped in any way to ensure that the midweek event was once again a huge success.